Does the Cost of Gastric Banding Stand Up? Laparoscopic adjustable gastric banding is one of the standard surgical procedures performed for morbidly obese patients. It is a form of restrictive bariatric surgery aimed at reducing the capacity of the stomach and thus, early satiety and an overall reduction in caloric intake. The procedure involves the placement of an adjustable silicone band around the upper part of the stomach. The silicone band has a plastic tube that extends just below the skin through which sterile water can be introduced. Injection of water into the band makes it tighter. Thus, the band can be adjusted (tightened or loosened) to improve weight loss and reduce side effects. Factors responsible for variations in the cost of bariatric surgeries have been mentioned under “cost of gastric bypass” and “cost of the duodenal switch.” The lack of correlation between the cost and quality of surgery has been discussed under “the cost of gastric bypass.” See these topics for details. Insurance policies most often cover for laparoscopic adjustable gastric banding, and this will help reduce the financial burden. Contact your insurer, and see if you meet the criteria for the surgery to be financed. On an average, the cost of laparoscopic adjustable gastric banding within the United States is about $18,000. The range is $15,000 to $24,000. This may be reduced by as much as 70% if done outside the US. The range is $15,000 to $24,000. This may be reduced by as much as 70% if done outside the US. In Mexico, the cost can be significantly less expensive. 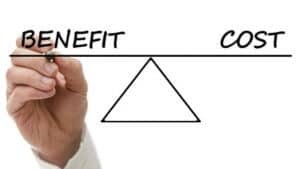 As for other bariatric surgeries, this cost does not include the post-surgery consult to the dietician/nutritionist, nutritional supplements, and the cost of management of complication if any. You may need new clothes as you lose weight following the procedure. Therefore provision must be made for this. For all bariatric surgeries, the cost shouldn’t be the primary concern but the quality of the operation and the overall/long-term health and financial benefits. Studies have shown that LAGB often pays for itself over an extended period especially in those patients with diabetes mellitus. Insurance companies now know that there is a high potential cost-saving following this surgical procedure and they are now willing to finance the procedure for those that are eligible.